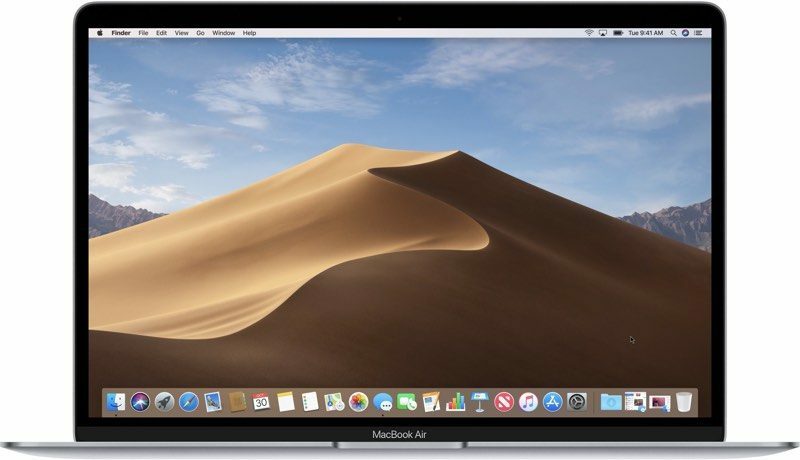 Apple today seeded the first beta of an upcoming macOS Mojave 10.14.4 update to developers for testing purposes, a couple of days after releasing the prior update, macOS 10.14.3, which focused on bug fixes. The new macOS Mojave 10.14.4 beta can be downloaded through the Software Update mechanism in System Preferences after the proper profile has been installed from Apple's Developer Center. We don't yet know what improvements the next update to macOS Mojave will bring, but it is likely to include bug fixes and performance improvements for issues that weren't able to be addressed in the macOS 10.14.3 update. What's new in macOS Mojave 10.14.4 - The macOS Mojave 10.14.4 update introduces Apple News in Canada. The update also includes support for automatic dark mode themes in Safari, so if you have Dark Mode enabled and then visit a website that also offers a dark mode, it will be activated automatically. Just installed it. Safari crashes after about 10 seconds of use, even with no tabs open. The backtrace doesn't contain anything obvious. I’m still on Sierra 10.12. Don’t think I will ever upgrade, everything works great on it: Adobe CS6, Office 365, Skype, Firefox etc. Probably won’t upgrade until I buy a new Mac, which likely won’t happen until late 2020. Let’s hope the battery drain during sleep is fixed. It’s the only thing wrong with Mojave. yes. I've had this issue. turning off "find my Mac" in iCloud settings fixed it completely. was waking up from overnight sleep to 100% battery, until..... the new 10.14.3 update a few days ago. now it's back to 50% + drain overnight. let know if you find out any other fixes! I have the same model laptop. I lose 40-60% overnight. my battery cycles are at 89 after 4 years since I took care of the battery but this is still a major issue. previously turning off find my Mac in iCloud fixes this, but the new 10.13.4 update broke it again. Wrong philosophy. You get a lot of things upgrading. Every update GPU drivers are faster, little bugs are fixed, new features. I’m a tech support specialist and you would not believe how many times problems are fixed just by updating. [doublepost=1548364919][/doublepost]Well I have not used Mojave at all over the last 3 months, but have been using windows 10 on bootcamp. If I want to use Mojave, I would have to take out my nvidia GTX 1080TI and put in my old nvidia card in my Mac Pro tower. Pulling out and putting in a video card because of large companies petty fighting. So i use my Windows 10, with icloud, itunes and the other PC mac software until the driver dispute is solved. Not going to go out and spend another $800 for a great graphics card because companies want to fight. Hey I am playing Call of Duty 4 and it runs great, so where does that leave Apple a long time Mac user? using Windows 10. Just use a Radeon card and it works perfectly on Linux, macOs, Windows, AmigaOs and go on. Also perfect for eGPU. Radeon Mac drivers are great. They are cheaper and faster than Nvidia counterparts. Check the release notes, known issue and there's a workaround in there. While the touch ID authentication for Safari auto-fill passwords is nice, it is incredibly annoying in clamshell/docked mode because every time I need to autofill a password, I'm prompted to type in my main computer account password. You can work around this for the time being by unchecking "Safari Autofill" under TouchID in System Preferences. Looking forward to hear about what kind of improvements it brings!